A fascinating commentary on the ethical and moral teachings of our Sages known as "Ethics of the Fathers." Drawing out the hints, allusions and mystical connotations of our Sages' words, Rebbe Nachman shows how Pirkey Avot is also a primer for attaining spiritual greatness and closeness to God. This all-in-one commentary features easy-to-follow explanations of the simple meaning of each Mishnah; Breslov insights into the deeper significance of the Sages' words; short essays on key Kabbalistic concepts, and true stories from Breslov tradition showing the lessons of our Sages in action. 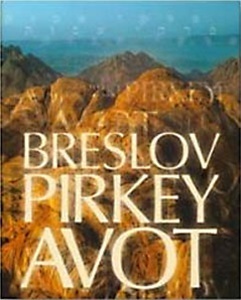 Pirkey Avot is traditionally studied on Shabbat afternoons between Pesach and Shavuot.